During my rather long commutes, I try to drown out the cacophony of traffic by listening to audio-books. I recently downloaded an audio copy of Kristin Hannah’s ‘The Nightingale’ and finished the book during my commute in a couple of weeks. 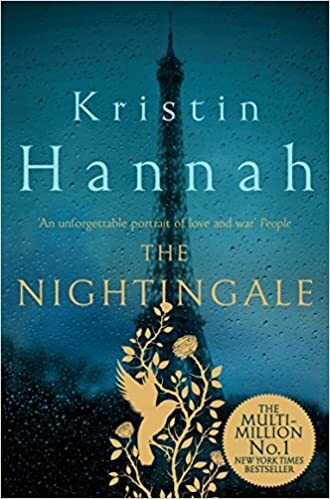 Kristin Hannah’s ‘The Nightingale’ is a bestseller for obvious reasons: strong characters who draw you in while the author weaves an interesting plot. Set in France, during the span of over two years during World War II, this is a story of two women. However, it is not just a story of strong, heroic women but the resilience of the human spirit. Hannah’s skillfully develops the characters while keeping the story engaging and readable. The story revolves around the lives of two sisters Viann and Isabelle who come to grips with the horrors of war in their own way. The younger sister Isabelle has moved back to their father in Paris while Viann is content with life in the French countryside. The vagaries of war throw unique changes at both sisters who facing terrifying situations and respond in their unique ways. Spoiler alert: The ending of this saga is a bit clichéd but satisfying. This book kept me engaged during my long commute during the week, and is likely to keep you engaged as well.